MDA is again thrilled to announce that Carlton Football Club’s Levi Casboult has also joined the MDA team and Nick Graham as an MDAmbassador. 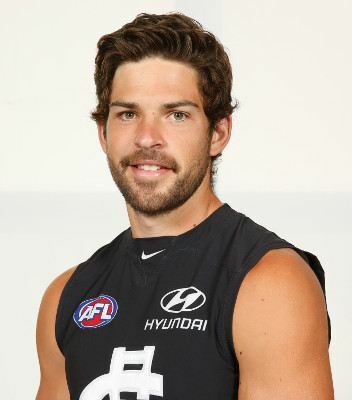 Levi plays as a key forward and ruckman and began playing TAC Cup football with the Dandenong Stingrays, before being making his debut with Carlton in 2012. Levi is volunteering his time and profile to help MDA grow and raise awareness about MD and for the MD community. Levi has a personal connection to MD as he has a cousin living with Duchenne Muscular Dystrophy and is eager to assist MDA in our endeavors to provide respite, support services and research to find a timely treatment. Welcome aboard Levi!